Five words pretty much say it all. Crosby. Stills. Nash. And Young. For the past 45 years, they’ve come to represent the epitome of the traveling troubadour, singer/songwriter ideal, the final remnants of sixties optimism, the last embers of hippie idealism, and a musical legacy that’s left its impact on every band and every artist that’s ever aspired to some kind of Americana achievement. As if any further proof was needed, here it is: CSNY 1974, a stunning box set boasting three CDs and one DVD (a single CD distillation is also available as well; both are from Rhino). 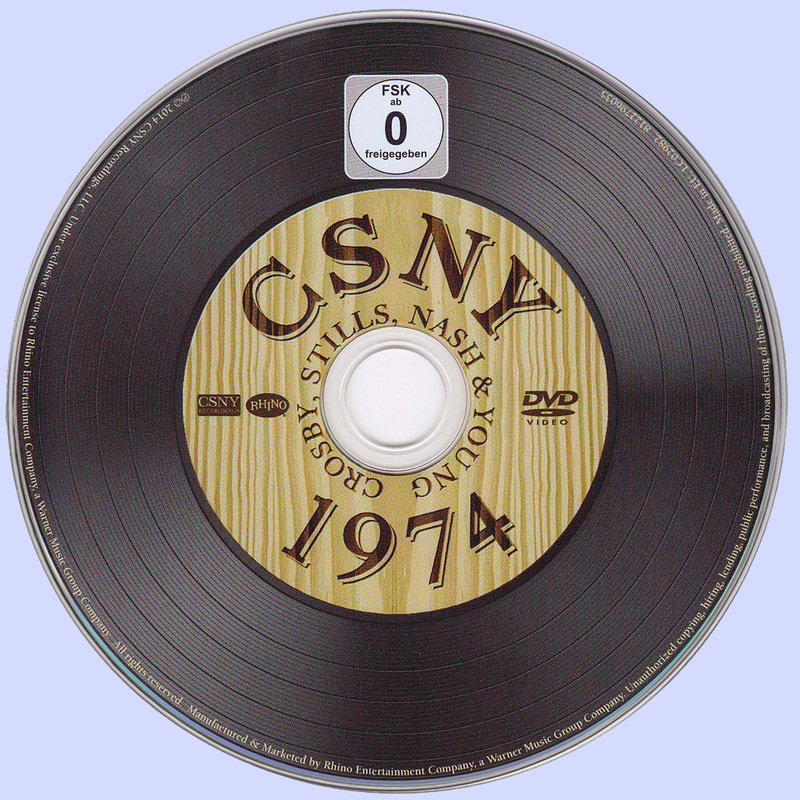 Included are 40 songs and eight videos culled from the quartet’s highly touted 1974 tour, a point in their combined careers that found them in their prime, at least as far as their regal reputation was concerned. The remarkable vibe emanating from that epic journey stays intact, on par with memories of the music, which in every sense remains just as passionate and powerful now. Indeed, the 40 years between past and present practically disappear. No dusty historical document this, but rather a fresh reminder of why this band remains the finest so-called “Super Group” in all of rock history. Still, all nostalgia aside, it’s still the melodies that matter most, and here, amidst this assortment of familiar band standards, solo standouts and songs that have heretofore never officially seen the light of day, the listener is presented with the very best the quarter had to offer, both individually and collectively. 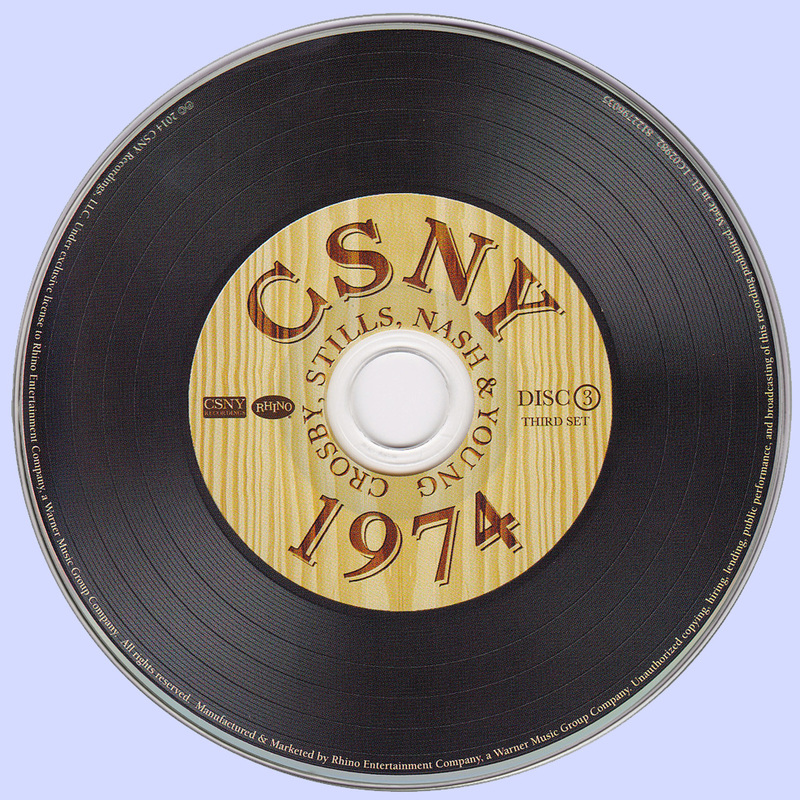 Many are already well pressed in the musical firmament — “Love the One You’re With,” “Almost Cut My Hair,” “Wooden Ships,” “Teach Your Children,” and “Suite: Judy Blue Eyes” (of course), but all are revived with a passion and purpose that reflects not only their initial intent, but also the fact that they felt they still had something to prove. Adding to that treasure trove of total delights is the eight song DVD recorded at the Capital Centre in Landover Maryland (the first such in-house video monitoring system utilized in the U.S.) and at Wembley Stadium in the U.K., a wealth of unseen footage that makes these archival performances appear so fresh and vivid it’s as if it was recorded only yesterday. It is, in a word, simply a marvel to witness in the here and now. Likewise, the massive 185 page booklet that accompanies this extravaganza is practically worth the price of admission on its own, chock full of concise commentary, detailed liner notes and stunning photos. 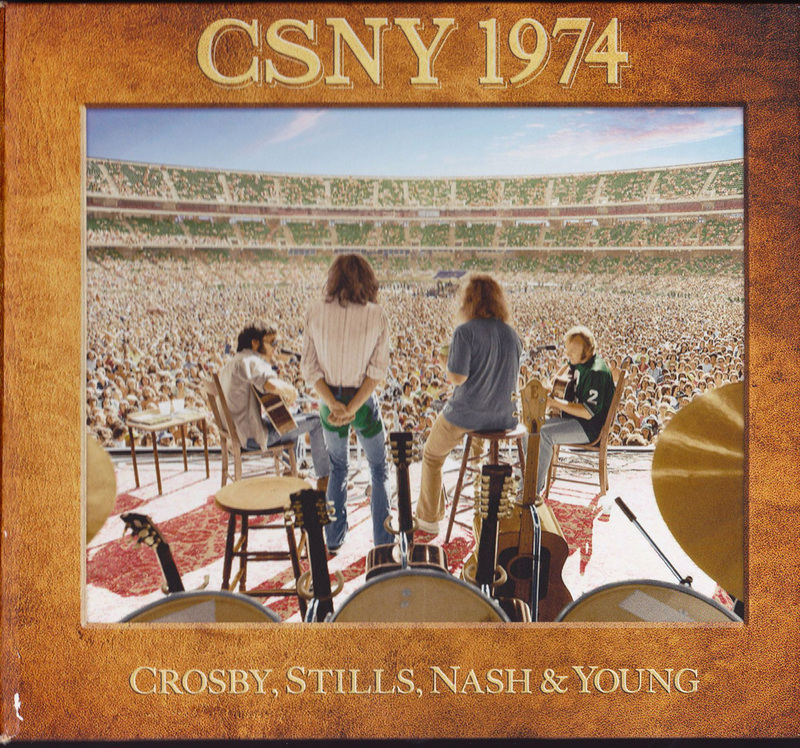 The latter comes as no surprise, considering the images were captured by the group’s photographer and confidant, Joel Bernstein, who also — not coincidentally — co-produced this box with pal Graham Nash. The word “essential” is bandied about quite a bit these days in reference to landmark recordings. Yet, here it applies in every sense. 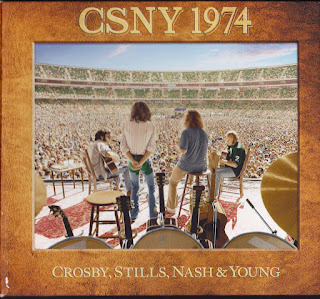 CSNY 74 is one for the ages. An amazing collection - thanks so much for the share mate. ΧΙΛΙΑ ΕΥΧΑΡΙΣΤΩ ΞΑΡΑ....ΕΙΣΑΙ ΜΕΡΑΚΛΗΣ !! Very nice set. Thanks for posting this. Have you got '4 Way Street' album by CSNY too?